Your wedding date is near and you want to spend one last night out with the boys as a single man. Or, you are the Best Man and you want to make sure the Groom has a great night with his crew. No matter the situation we are here to make sure you guys have a night you will remember. 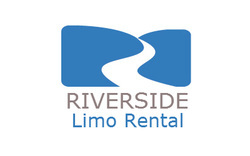 Allow Riverside Limo Rental to provide the transportation for the night so you can focus on having a good time. We know you want to have fun and maybe even drink the night away. We will make sure you get back to your hotel or living quarters safely and in one piece. We know that Big Day is upon you and you want to make sure that the night before does not interfere with the events of the following day. So leave the transportation to us and let your worries go. We do this all the time and we will make sure to get you where you need to go and home in time to get prepared for the Big Day. We can stack the mini bar with all the beverages necessary to make your night a good one. Our vehicles are equipped with quality sounds systems that let you enjoy yourself with your party rocking to the music from your past. We will set the mood to make your night unforgettable. The best part of the night as discussed above is you don't have to worry about who the designated driver is because with us, we are always willing to be that provider and make sure to get you back home safely and in time for the next days festivities. So before you think about where you want to go for the bachelor party give us a call so we can make sure you have transportation taking care of so you can focus on how best to have fun for the night. No calling a cab or wasting time picking the person to drive that hasn't had to much to drink. We will take care of the transportation side and you focus on the fun. With are open to last minute reservations because we know things happen, so give us a call and let's help make that last night a good and safe one.